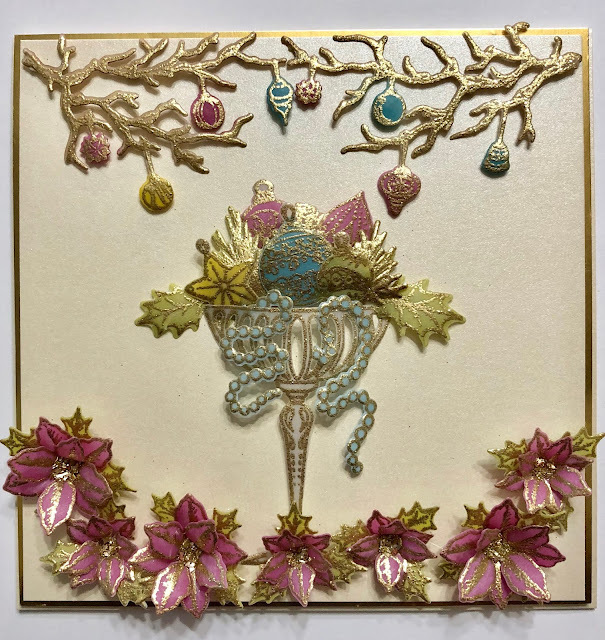 Since we're still in Christmas mode at Heartfelt Creations, I have a card to share with you today that features the Merry and Bright Collection, Poinsettias and the most amazing vellum I've ever worked with. I just love Rajni Chawla's Vellum Flowerite. It's a heavier vellum that you can heat emboss and not have a lot of your embossing flake off. It's amazing! Instructions: Card size is 6 x 6”. 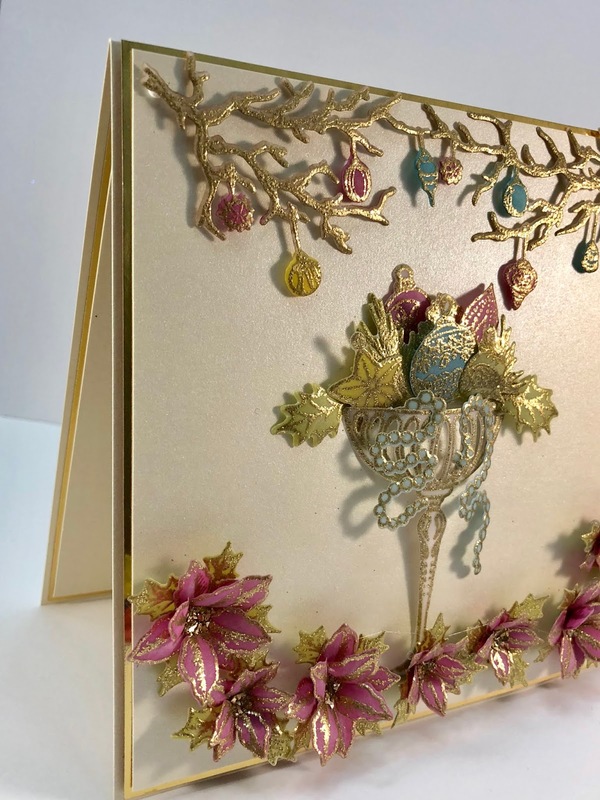 Score a piece of 12 x 6” cream metallic cardstock at 6” on the long side and fold to create a 6 x 6” tent fold card base. Cut a gold mirror mat layer 5 7/8 x 5 7/8” and a cream mat layer 5 3/4 x 5 3/4”. Adhere the two mat layers together using dries clear adhesive and adhere to the card base using dimensional tape. Cut two more mat layers the same sizes and adhere to the inside of the card. Stamp the Merry and Bright Accents on Rajni’s Chawla’s Vellum Flowerite using VersaMark, sprinkle with WOW Metallic Gold Sparkle Embossing Glitter and heat set using the Heat It tool. Color on the back side using Distress Oxide inks and shape using the Deluxe Flower Shaping Kit. Adhere to the card as shown using Dries Clear Adhesive and dimensional dots. Stamp the Poinsettia & Holly Clusters once on Rajni’s Chawla’s Vellum Flowerite using VersaMark, sprinkle with WOW Metallic Gold Sparkle Embossing Glitter and heat set using the Heat It tool. Color on the back side using Distress Oxide Seedless Preserves for the flower petals and Peeled Paint for the holly leaves. Shape using the Deluxe Flower Shaping Kit. 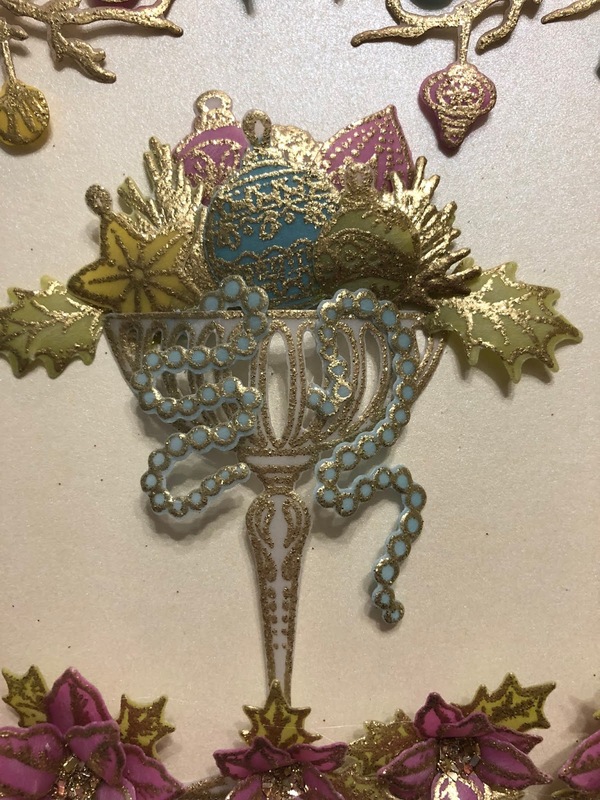 Adhere two flower petals and one holly leaf together for each flower using the hot glue gun, add dries clear glue to the flower centers and sprinkle with champagne glass glitter. 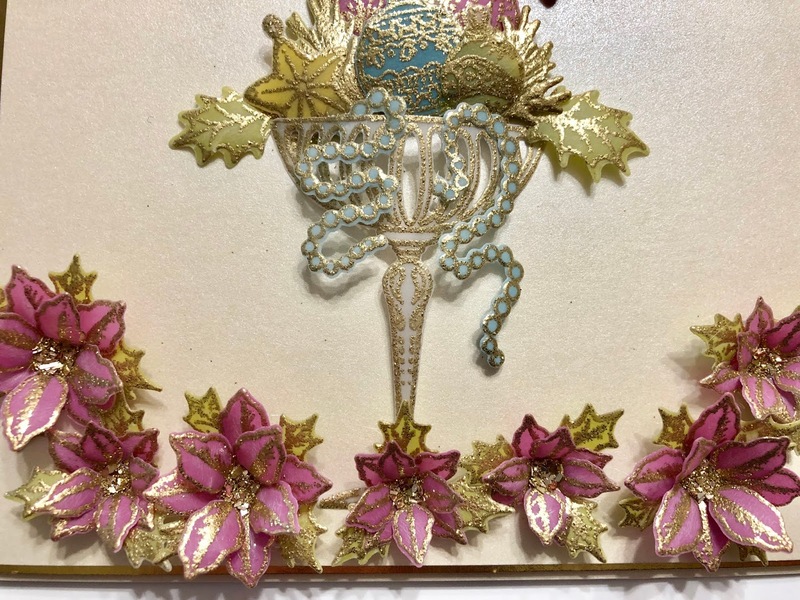 Adhere the poinsettias to the card front as shown. 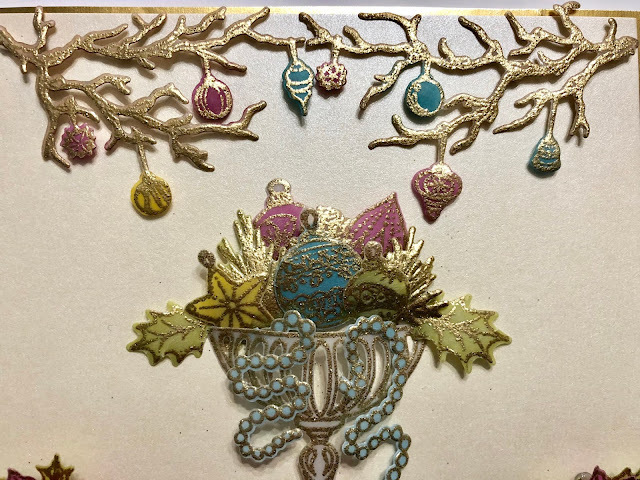 Stamp the “Have Yourself A Merry Little Christmas” Sentiment on the inside of the card using VersaMark, sprinkle with WOW Metallic Gold Sparkle Embossing Glitter and heat set using the Heat It tool. Be sure to stop by the Heartfelt Creations Blog to see all of the gorgeous projects created by the super talented design team. Thank you so much for paying a visit! What a beautiful and elegant card with all the gold embossing!! Pretty gold and silver embossing Janet! I love your center piece and your flowers are so pretty!